Since 2010, the Half in Ten campaign has tracked its progress toward achieving its goal of cutting poverty in half in 10 years by examining 21 different indicators of economic security and opportunity. We began this project in the immediate aftermath of the Great Recession, which technically ended in June 2009. Monitoring our indicators since then we have seen evidence of a slowly recovering economy with improving unemployment rates, yet far too many indicators have remained virtually stagnant for years. Between 2012 and 2013, the percentage of Americans with incomes below the poverty line—a mere $18,552 per year for a family of three—declined slightly, from 15 percent to 14.5 percent. This is the first statistically significant decrease in the poverty rate since 2006, and only the second decrease since 2000. Moreover, the decline in both the number and share of children in poverty was substantial: The child poverty rate fell by nearly 2 percentage points, from 21.8 percent in 2012 to 19.9 percent in 2013, and the number of children in poverty declined by 1.4 million. Similarly, Hispanics saw a statistically significant change in their poverty rate, falling from 25.6 percent in 2012 to 23.5 percent in 2013, although they were the only racial or ethnic group to experience such a drop. At the same time, the actual number of Americans living in poverty remained statistically unchanged—45.3 million in 2013. With the midterm congressional elections behind us, it is time for Congress to get serious about passing legislation to cut poverty. Though there are some bright spots in our data this year, too many of our indicators remain stagnant or moving in the wrong direction. That said, we have seen many promising developments when it comes to public attention to these issues and movement for change at the local level. Moreover, with candidates gearing up for 2016, the presidential year elections present very important opportunities for our mission to build the political and public will to cut poverty. Presidential campaigns focus the public’s attention on the competing visions and agendas for moving our country forward and ask voters to make choices about the policies we need in place. With income inequality at levels not seen since the 1920s, a shrinking middle class, stagnant wages, and little progress on poverty, we must set the stage to make poverty reduction a serious and accountable priority for all candidates in 2016. 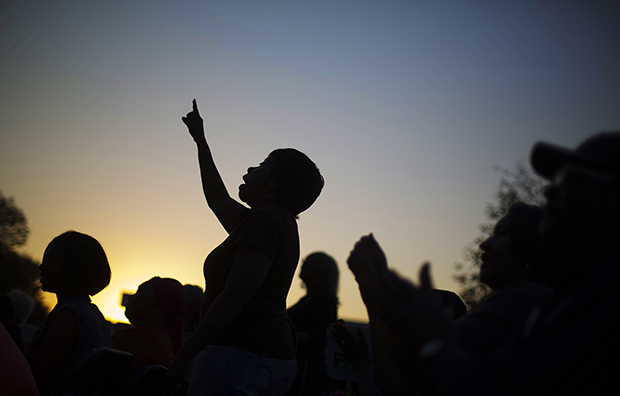 A national anti-poverty agenda for 2016 is already building momentum at the local level. In states and municipalities across the country, movements to raise the minimum wage are achieving success and gaining steam. In 2014 alone, 10 states and the District of Columbia increased their minimum wage. The city of Seattle passed the highest minimum wage in the country, which will reach $15 per hour by 2017. State and local advocates are also achieving success for important workplace policies. In September 2014, California Gov. Jerry Brown (D) signed legislation requiring nearly all employers in the state to provide at least three days of paid sick leave annually. This makes California the second state to do so; Connecticut extended paid sick leave to a substantial share of workers in the state in 2012. And a growing number of cities are adopting paid sick leave laws. Mostly over the past year, five New Jersey cities, including the three largest in the state, have adopted paid sick leave laws. As of September 2014, five other major U.S. cities have now adopted citywide paid sick leave laws, most recently, Portland, Oregon, and New York City. Local advocates and leaders are also pushing a new education and child care agenda. Last March, New York City Mayor Bill de Blasio announced a plan to make pre-kindergarten available to every 4- and 5-year-old child in the city by the fall of 2016. Even where Congress has actively made the situation more challenging for low-income families, state and local advocates in red and blue states have pushed back. When Congress finally passed the new farm bill in February 2014, it cut spending on the Supplemental Nutrition Assistance Program by a projected $8.6 billion over the next decade, which significantly reduced benefits for hundreds of thousands of households, on top of a benefit cut that already took place in November 2013 due to a boost from the American Recovery Act that was allowed to expire. Thanks to local pressure, several states exercised their administrative flexibility to continue coordinating heating and food assistance through a provision called “Heat and Eat,” which helped prevent some of these benefit cuts. As of June 2014, states opting to maintain their Heat and Eat coordination included California, Connecticut, Massachusetts, Montana, New York, Oregon, Pennsylvania, Rhode Island, Vermont, Washington, and the District of Columbia. Unfortunately, progress toward effective polices at the national level lately has been about as stagnant as our indicators. But progress and momentum at the local level demonstrates that public will is building in the right direction. Looking ahead, advocates who support our mission to cut poverty in half should focus on strategies that can leverage local momentum and help us build a truly national anti-poverty agenda, as well as a movement to implement it. The following is a summary of some of the key findings from this year’s report. In the years following the end of the Great Recession, economic growth has been steady but slow. The unemployment rate fell from 7.2 percent in September 2013 to 5.9 percent in September 2014. Although this is considerably lower than the previous year, we still have a long way to go to return to prerecession levels and absorb new entrants into the labor force. To do this, it is estimated that we will need to add about 5.6 million more jobs to our economy, and that it will take three or more years at the current pace of job creation to close the gap. But in order to reduce poverty, we must do more than just add jobs. Too many jobs in our economy are not paying enough to make a living. Similar to job growth, wage growth was hit hard during the Great Recession and has yet to recover—in fact, for low- and moderate-wage workers, it has been declining since the 2001 recession. As a result, wages for the bottom 40 percent of workers are lower today than they were in 2000. We see this trend clearly reflected in one of our indicators: the median wages for five major service occupations, including health care support; protective services; food preparation and serving; personal care and service; and building grounds cleaning and maintenance. For workers in these industries, their median wages were the same in 2013 as they were in 2000, when adjusted for inflation. Low wages have not come close to keeping up with productivity. In fact, if our nation’s minimum wage—currently set at $7.25 per hour—were adjusted to track the increase in productivity, it would be slightly more than $17 per hour. The pay gap between men and women is another stagnant indicator this year. Women working full-time, year-round jobs earned 78 percent of what men working full-time, year-round jobs did in 2013—78 cents for every $1 earned by a man. The gap was 77 percent in 2012, statistically unchanged. The poverty rate for both men and women fell between 2012 and 2013, but disparities remain. The poverty rate for women ages 18 and older in 2013 was 14.5 percent compared to 11 percent for men. While wages for the bottom 40 percent of Americans have stagnated or gotten worse for more than a decade, the rich have grown richer. We track the distribution of income across the economy as one of our indicators—income inequality. The level of income inequality has now reached the same levels as it was in the 1920s. In 2013, the top 20 percent of Americans took in more than half of all income in the United States, a whopping 51 percent. In fact, the top 5 percent of Americans took home 22.3 percent of our country’s total income, while the bottom 40 percent brought in just 11.5 percent. And it is not just the gap in income that has widened. The gap in wealth is even more dramatic. According to a 2014 Federal Reserve study, the median net worth of families in the top 10 percent of the income distribution was $1.13 million in 2013, compared to just $6,400 for families in the bottom 20 percent. While the net worth of middle-income families declined by 26 percent between 2001 and 2013, it increased by 3 percent for those in the top 10 percent. Families in the bottom 20 percent saw their net worth decline by 41 percent over the same time period. Income inequality, stagnant wages for those at the bottom, and static indicators of poverty are all deeply interrelated. The longer that wages have remained flat for low-income working Americans, the more difficult it is for them to keep pace with the rising costs of housing and other basic needs. As it relates to wealth, stagnant wages also make it increasingly difficult—and, for many, impossible—to save for future educational needs, medical emergencies, or job losses. The poverty rate does not fully capture the impact of rising income inequality, as it is only a point-in-time estimate of the 14.5 percent of Americans who were in poverty in 2013. Income inequality also contributes to chronic economic insecurity for far too many families in our country. Census data that track family income over time show that nearly one in three families—31.6 percent—experienced at least a two-month spell of poverty from 2009 to 2011, while only 3.5 percent of the population was in poverty all three years. Job creation may be too slow and wages too stagnant overall, but for communities of color the disparities are especially stark. While the unemployment rate for all workers was 5.9 percent in September 2014, it was a whole different story for communities of color. The unemployment rate was 5.1 percent for whites, but 11 percent for African Americans and 6.9 percent for Latinos. Not only is employment a more severe challenge for communities of color, but wages are disproportionately depressed for this demographic as well. In 2013, 35.7 percent of blacks and 42.2 percent of Latinos made poverty-level wages compared to 22.5 percent of whites. This year, there was a welcome change in the right direction for Hispanics, the only racial or ethnic group to experience a statistically significant positive change in both their poverty rate and the number of individuals living in poverty. The poverty rate for Hispanics fell from 25.6 percent in 2012 to 23.5 percent in 2013. In comparison, the poverty rate for African Americans was 27.2 percent in 2013, the same as it was 2012. Yet, for Hispanics and other communities of color, serious disparities still exist in the poverty rate. Both these Hispanic and black poverty rates were especially high compared to the poverty rate for whites, which was 9.6 percent in 2013. Many of these communities also face disproportionate cost burdens. As we examine in our “Family Economic Security” chapter, in 2012, 27 percent of black households, 24 percent of Latino households, and 21 percent of Asian households faced severe cost burdens—paying more than 50 percent of their income for housing. This is compared to 14 percent of white households. When communities of color face these types of challenges with meeting the cost of basic needs, combined with disproportionate rates of unemployment, low wages, and poverty, their budgets are disproportionately strained. By 2042, people of color will make up the majority of our workforce. The longer we let these disparities persist for the future of our workforce, the more we undercut our global competitiveness. It is far past time to address and eliminate them. One of the most important pathways out of poverty is a good job that pays a living wage. The vast majority of Americans, including those at the bottom of the income scale, rely on their paychecks and work-related benefits as their primary source of income. But stagnant and declining wage growth over the past decade and a half has meant that good jobs are hard to come by. This is why it is absolutely critical that effective policies are put in place that ensure that poorly compensated workers are treated fairly—policies such as an increase to the minimum wage and paid sick days. When a job, or a living-wage job, is out of reach, our nation’s safety net is there to support families in meeting their basic needs. It is also there to support those who cannot work due to a disability. As illustrated throughout this report, the labor market and the safety net are connected in important ways. When the labor market and economy are not working for most Americans during economic downturns and during challenging recoveries as it is today, the safety net fills in. The faster the labor market gets back on track and the closer we come to full employment, the less work the safety net has to do. This is especially true of programs such as the Supplemental Nutrition Assistance Program, or SNAP, formerly known as food stamps, which expands and contracts according to the need. With today’s poverty rate, depressed wages, and slow job growth, families need this critical program to put nutritious meals on the table. But a recent study by the Center for American Progress showed that if the minimum wage were raised to $10.10 per hour from its current rate of $7.25, we would save nearly $4.6 billion in annual SNAP expenditures. By making smart policy choices to improve our labor market for low-income Americans, we can also take pressure off of our strained safety net, which is currently working overtime. Instead of doing the smart thing, Congress cut SNAP funding by nearly $8.6 billion over 10 years in the most recent farm bill, on top of letting a Recovery Act boost expire—all while refusing to raise the minimum wage. Unemployment insurance coverage also illustrates the connection between the safety net and the labor market. Unfortunately, it also illustrates the wrong policy choices Congress made this past year to move many of our indicators in the wrong direction. This nation is still 5.7 million jobs shy of where we were before the recession. When someone cannot find employment, unemployment insurance should be there to help him or her meet basic needs in addition to having access to other vital programs such as SNAP. However, just as it did with SNAP, Congress reduced unemployment insurance coverage at a time when this serious need still exists in the labor market. At the same time they have cut back on this support, Congress has stalled on legislation that would create jobs. In 2013, 40.5 percent of jobless workers had access to unemployment insurance coverage—an 8 percentage-point drop from 2012. This continues a trend when unemployment insurance coverage fell by 7 percentage points in 2012. In December 2013, Congress let federal emergency unemployment insurance coverage expire. As a result, as many as 4 million jobless workers and their families may lose unemployment benefits this year, regardless of whether they are able to find work. In addition to renewing unemployment insurance coverage, Congress should pass policies to improve the job market such as infrastructure and subsidized employment, which we recommend in our “More Good Jobs” chapter. One of the biggest pressures on a family’s budget is the cost of health care. In 2013, one out of every four people living below the poverty line went the entire year without health insurance coverage. Furthermore, those aged 19 to 34 accounted for about 38.3 percent of the uninsured population. Among 25- to 34-year-olds living below the poverty line, 42 percent were uninsured for all of 2013. Unlike some of our other indicators, our nation made the right decision to invest in health insurance through the passage of the Affordable Care Act, or ACA. We are already seeing the positive results—especially for low-income Americans. The share of Americans without health insurance grew steadily between 2000 and 2010, and had been projected to continue rising before passage of the ACA. But after peaking at 15.5 percent in 2010, the share of people without health insurance fell to 14.5 percent in 2013. The change in this year’s indicator is still modest because the vast majority of Americans who have gained health insurance coverage under the law will not be counted in the official data until 2015. But surveys by Gallup, the RAND Corporation, the Urban Institute, and the Commonwealth Fund have consistently found significant and similarly sized reductions in the uninsured rate in 2014, with at least 8 million to 10 million previously uninsured adults gaining health coverage. Most recently, a study published in The New England Journal of Medicine found a significant decline in the uninsured rate of 5.2 percentage points among adults ages 18 to 64 through mid-2014, which coincides with the initial open enrollment period under the ACA and represents 10.3 million people gaining health insurance coverage. For low-income Americans, declining rates of the uninsured in the states that have opted to expand Medicaid under the law are especially encouraging and are another example of the how policy choices make a direct difference in individual lives. There are now 28 states, as well as the District of Columbia, that have opted to expand Medicaid coverage as of September 2014. Take, for example, Kentucky, where 290,000 low-income residents have signed up for health coverage as of April 2014. While there were 17 counties in Kentucky with uninsured rates above 17 percent in 2012, it is now reported that there are potentially no counties with rates that high. Now, there are only two counties that have uninsured rates in the 14 percent to 17 percent range. Additionally, Kentucky is already seeing an increase in the use of preventative care and screening health services, which should result in improved outcomes in the future. This is only one example of the positive change taking place across the country. Unfortunately, there are well more than 4 million low-income people nationwide who will not yet experience positive results such as those seen in Kentucky because their state has chosen not to expand Medicaid coverage. In these states, many adults living below poverty will fall into a so-called coverage gap and receive no assistance at all under the law. Early data are already showing the positive effects of Medicaid expansion for low-income Americans in the states that made the right decision to opt-in. The states that continue to refuse this vital coverage for their low-income residents are callously refusing to make the health and economic security of their citizens a priority. Each year, the Half in Ten campaign looks to key indicators of economic security and opportunity to serve as a compass. What we learn from them guides the work we do with our grassroots partners across the country to push for the policy changes that we know will move these indicators in the right direction and improve the lives of low-income Americans and, in turn, all Americans. The good news is that the national poverty rate started to edge down and the child poverty rate declined significantly in 2013. The bad news is that incomes remain stagnant with high levels of income inequality remaining stubbornly stuck in place. Although many of the indicators remain frustratingly stagnant or moving in the wrong direction in 2013, it does not mean that Americans are not mobilizing across the country to do something about it. Progress on positive policy change at the national level is a mix of backward and forward steps: backward—reductions in unemployment and food benefits by Congress; forward—the Obama administration improvements in wages for federally contracted workers and in consumer protections. At the state and local level, progressive advocates have been making serious and important progress in their own communities by raising their minimum wage, passing paid family and sick leave policies, and expanding health care to their low-income residents by taking full advantage of Medicaid expansion under the ACA, among others successes. It is time to take these efforts to the next level. We need to build on this local momentum and success and make dramatic poverty reduction a national priority. As we move toward the upcoming presidential election in 2016, the time to begin setting the agenda for tomorrow is today. We can use this opportunity to give the American public clear choices about our future economic prosperity. We set the goal for our campaign because we have already proven as a nation that we can cut poverty in half. A half-century ago, the March on Washington and the War on Poverty marked a major national commitment, a promise that we made to ourselves as a country—one that led to a steep decline in the poverty rate and ushered in widely shared economic growth. We did it then, so let’s do it again. Melissa Boteach is the Vice President of Half in Ten and the Poverty and Prosperity Program at the Center for American Progress Action Fund. Shawn Fremstad is a Senior Fellow at the Center for American Progress Action Fund, as well as a senior research associate at the Center for Economic and Policy Research. Erik R. Stegman is the Associate Director of the Half in Ten campaign at the Center for American Progress Action Fund. Sarah Baron is a Field Associate with the Half in Ten campaign at the Center for American Progress Action Fund. Rebecca Vallas is the Associate Director of the Poverty to Prosperity Program at the Center for American Progress Action Fund.